Soviet cars for export accounted for more than half of production at domestic plants, which created a shortage of cars for the domestic Soviet market. The Moskvitch and Volga were luckier than most Soviet citizens – they managed to get to the West after all. "When in 1984 I got my driver's license, I had only £ 100 (about $ 150) in my wallet to buy my first car. It was not such a big sum, and I did not have such a great selection. Then I looked at column ads in the Bristol Evening Post and saw a 1973 Lada 1200 for the same amount that I had in my pocket" wrote Stephen Floyd on his website, which is dedicated to the iconic Soviet car. Even then, the purchase of such a car was somewhat unusual. 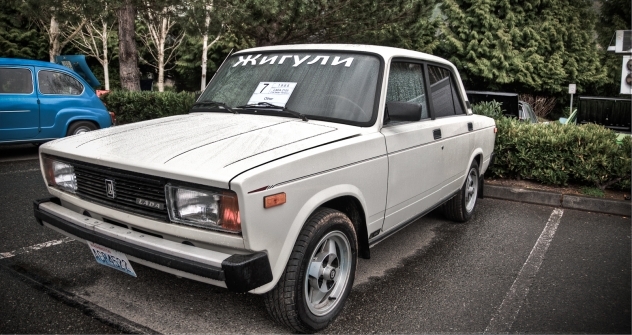 The car known abroad as a Lada is known in Russia as a Zhiguli. The Togliatti car plant had to change the name of the brand for export due to a discordant similarity with the word "gigolo," whose meaning few of the workers in the Soviet Union knew. And that Lada was not Floyd’s only car made in Togliatti. He later owned a 1979 Lada 1600ES, known in Russia as the VAZ-2106. He bought it used for £ 200 (almost $ 310) from a man in Coventry. This was the market price, because this is what it commanded at the scrap yard. But Floyd started to restore the car. He completely disassembled it "down to the last bolt" in about the same fashion that car restoration specialists approach any classic car. In the end, the Lada turned out to be more beautiful restored than new, and it began to take part in Lada Owners Club of Great Britain events. Outside the club’s boundaries, Ladas are often greeted by a sarcastic smile, so it should come as no surprise that the recent news that AvtoVAZ intends to return to the British market received a similar reception. Joking aside, marketing experts assert that the UK car market is experiencing a significant shortage of budget models. The UK was not the only Western country to have Soviet cars on its roads. In 1952, the American magazine Motor Trend published an article about how a certain Stanley F. Slotkin brought a Soviet Pobeda car from Finland to the United States. The story went that while Slotkin was in Helsinki on business, he was running late and hailed a cab; he mechanically plopped down in the back seat, and only then did he examine the interior of the cabin, which seemed unusual to him. Learning from the taxi driver that it was a Russian Pobeda, Slotkin immediately wanted to buy one. Then begins the American's story about how it was impossible to buy this car and export it to the U.S., so he had to become a smuggler in order to do this. The article vividly describes the long search for the car, the illegal purchase of a stolen Pobeda from somewhere, its disassembly into pieces, their packaging into a container, and Slotkin's thumping heart and parched throat at the customs inspection station. Why did he need to do all this? Solely for self-promotion and to raise the price of the car, which in 1952 was possibly the only example of a GAZ-M20 in the USA - it is easy to read these ideas between the lines. The article reads: "Slotkin does not plan to drive his new Pobeda; he has other cars that he likes more. Instead, he's going to give it to charitable organizations for demonstration purposes." Even if he did decide to drive it, it would have been very difficult for him to picture himself going to Gorky for spare parts. "This is the only car for which I feel no desire to enjoy the benefits of a six-month warranty. After the adventures that I went through getting it out of Russia, I have no desire to send it back to them,” Slotkin said, according to the article. The article is abridged and first published in the Avtopilot magazine.